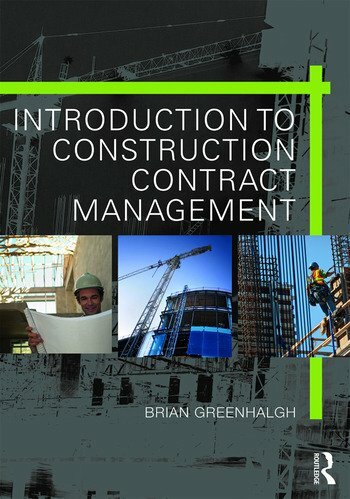 This book is an introduction to construction contract administration and management, covering the delivery and execution stage of a construction project and the various issues which the contract administrator needs to proactively manage. It can therefore be used as a contract administrator’s resource book covering what needs to be done (and why) to keep a construction project on track from a commercial and contractual perspective. It is particularly appropriate for students and new practitioners from varied construction professions and whilst it covers domestic (UK) projects, it will be particularly useful for those studying and working on international projects where terminology, procedures and legal systems may differ from the UK. Part D covers claims and disputes. Introduction to Construction Contract Management will be particularly useful for students enrolled on global construction programmes together with international distance learning students and non-cognate graduates starting out on an international career in construction contract administration and quantity surveying. Brian Greenhalgh FRICS FCIOB has worked for many years as a commercial/contract manager for major client organisations in the MENA region. He was also formerly a principal lecturer in quantity surveying and construction project management at Liverpool John Moores University, with responsibility for postgraduate programmes in quantity surveying and construction project management.